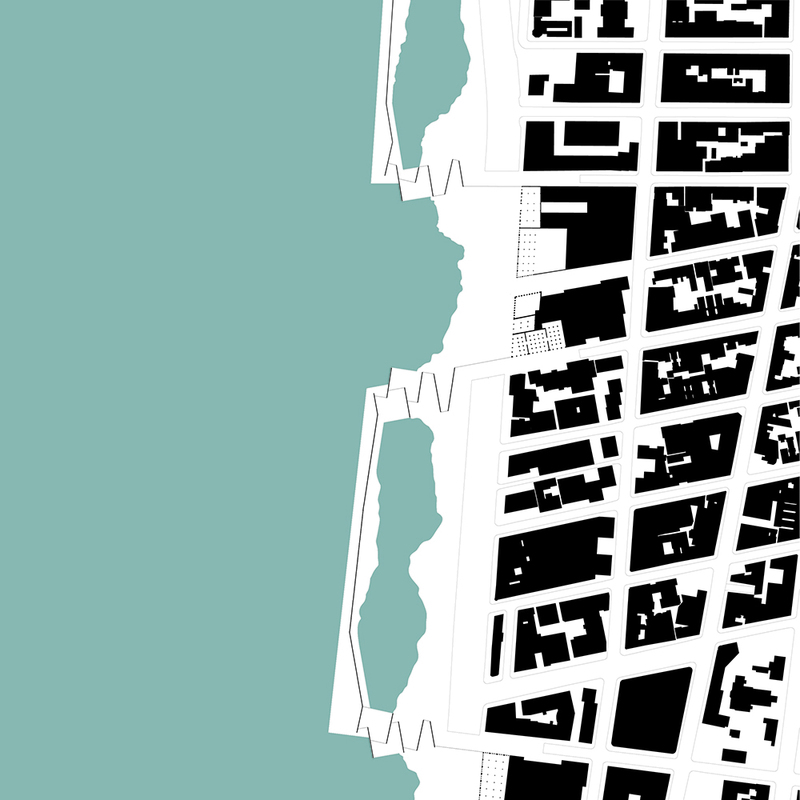 As recent events have shown, Manhattan is desperately vulnerable to the rising water and subsequently increasing storm surges. 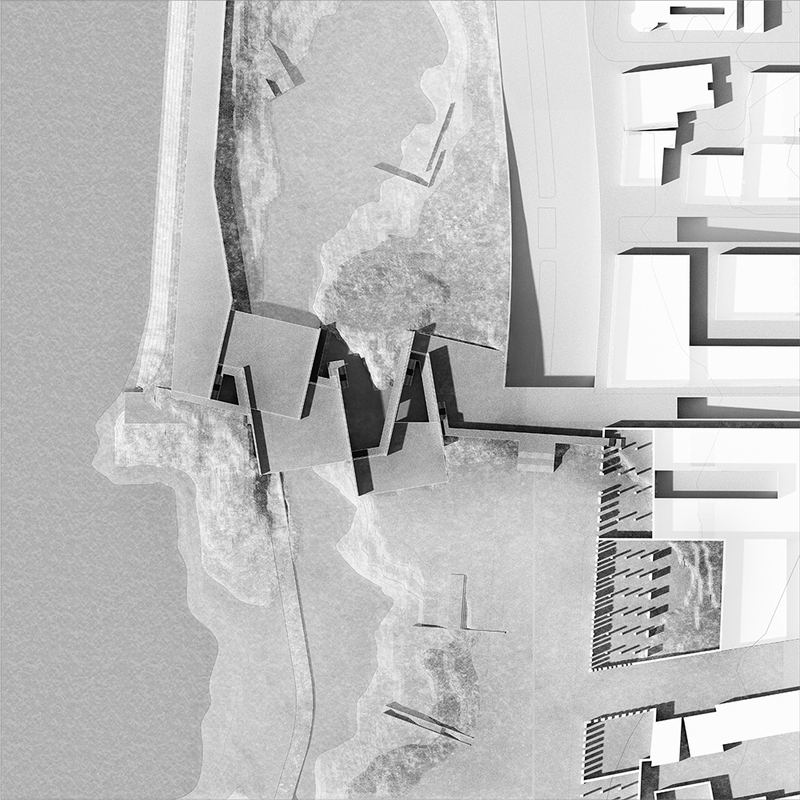 This project proposes a defensive edge that protects the city against these threats, while also seeking to rethink the relationship between landscape, infrastructure and architecture within an urban context. A storm surge in Manhattan is an event that occurs on a rare basis. Protecting the city from such a surge means requiring huge interventions into the urban landscape. 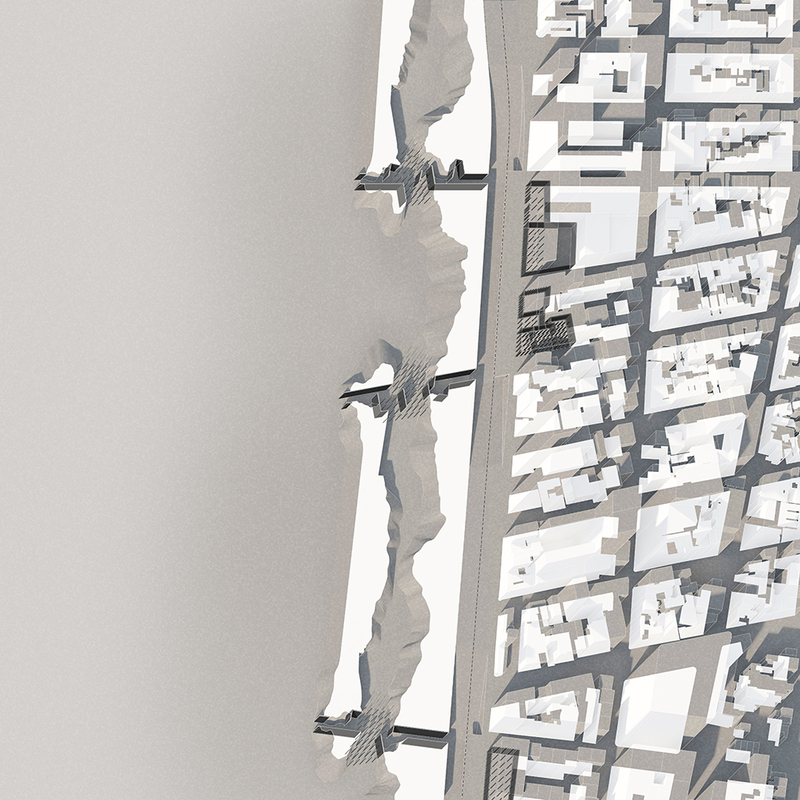 To explore the tension between the rarity of the occurrence of a storm surge and the large and permanent intervention it requires to protect the city from it, I propose a transformation that is simultaneously physically removed from the city and interlocked with the existing urban fabric. 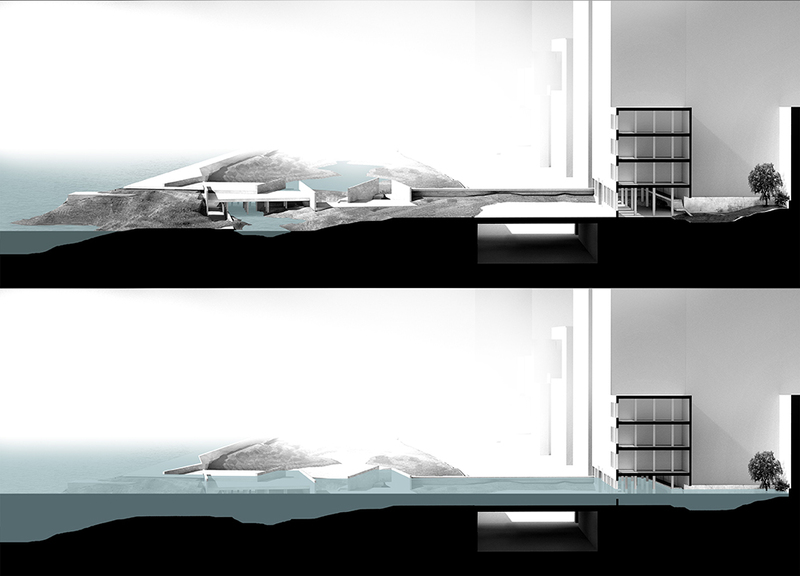 My proposal is prototypical, and therefore can potentially be implemented anywhere along the coast of south Manhattan. 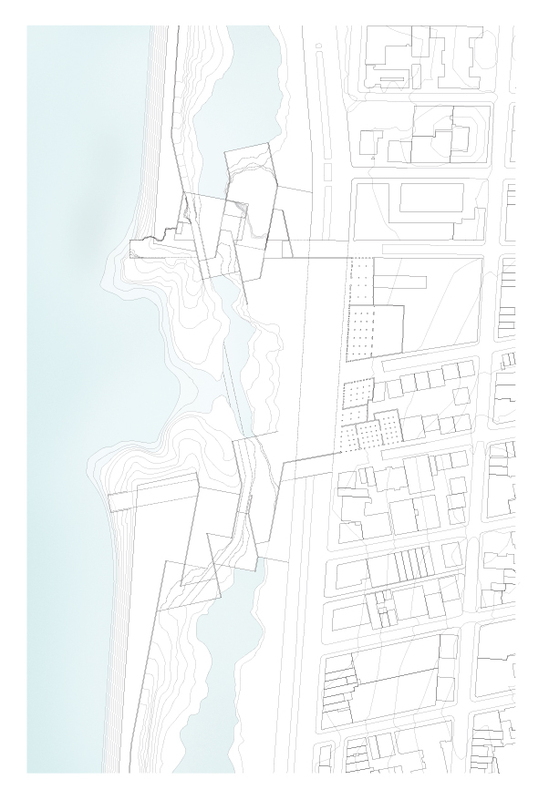 However, for the purpose of this study I have focused on an area on the West side of the island around 11th st. 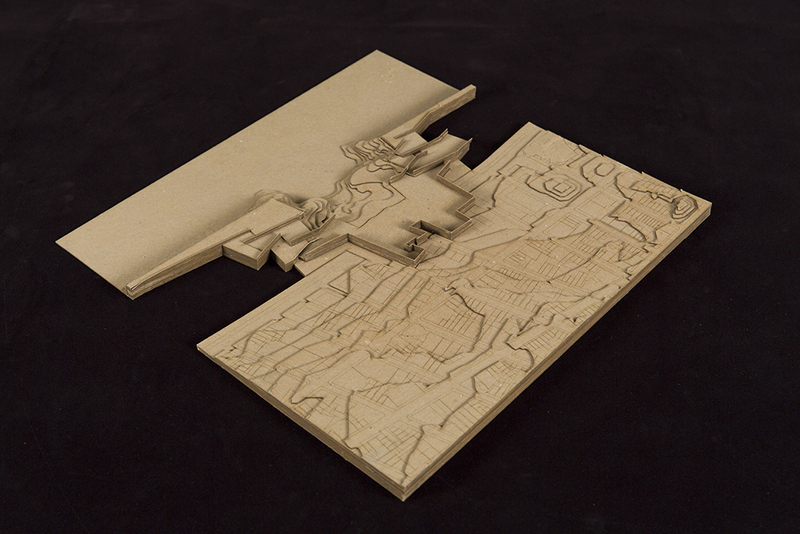 The main intervention consists of an off shore dike. 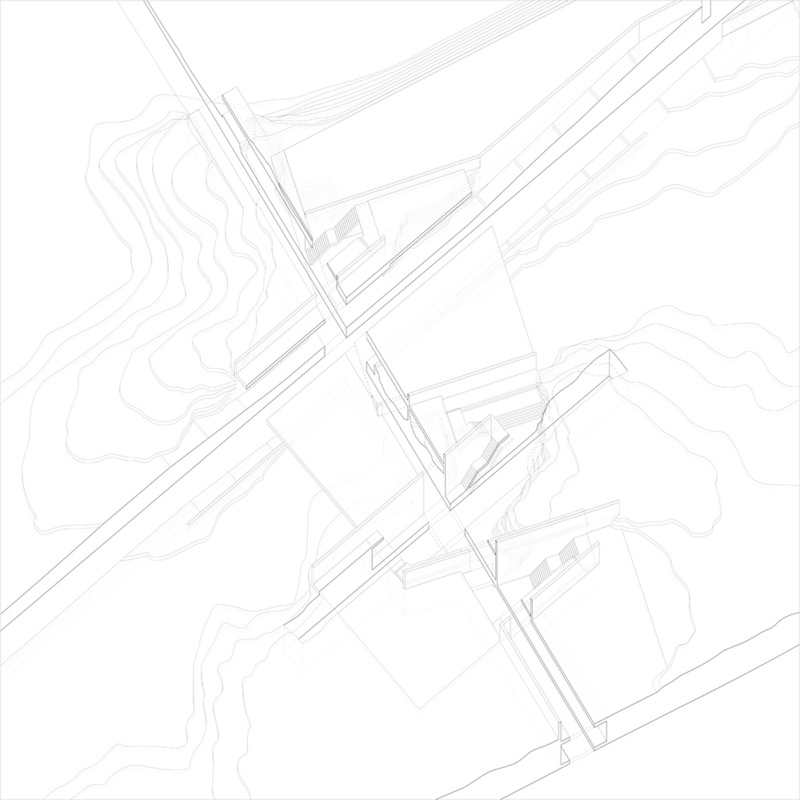 Placing the dike a few hundred feet into the river eliminates the need for a direct architectural intervention at the waterfront. This does not mean that there is no change in the initial shoreline. Firstly, the view across the river becomes obstructed by the dike. 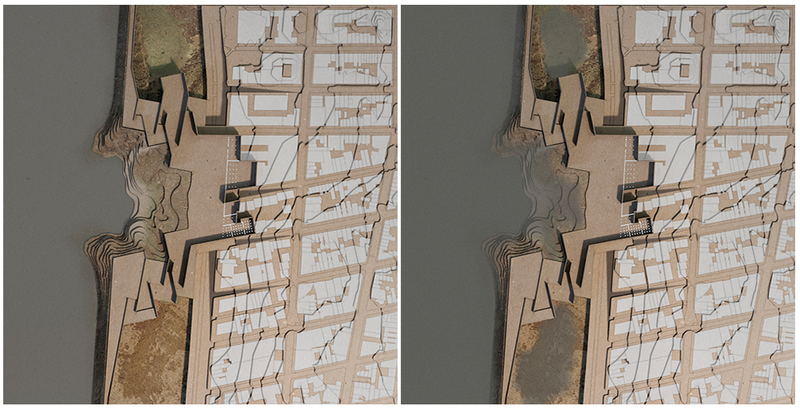 Moreover, the water conditions between the dike and the shore change dramatically. Instead of the free flowing Hudson, this area now becomes a semi enclosed low water environment: an estuary condition where the tides will play an important role in the shaping of the landscape. 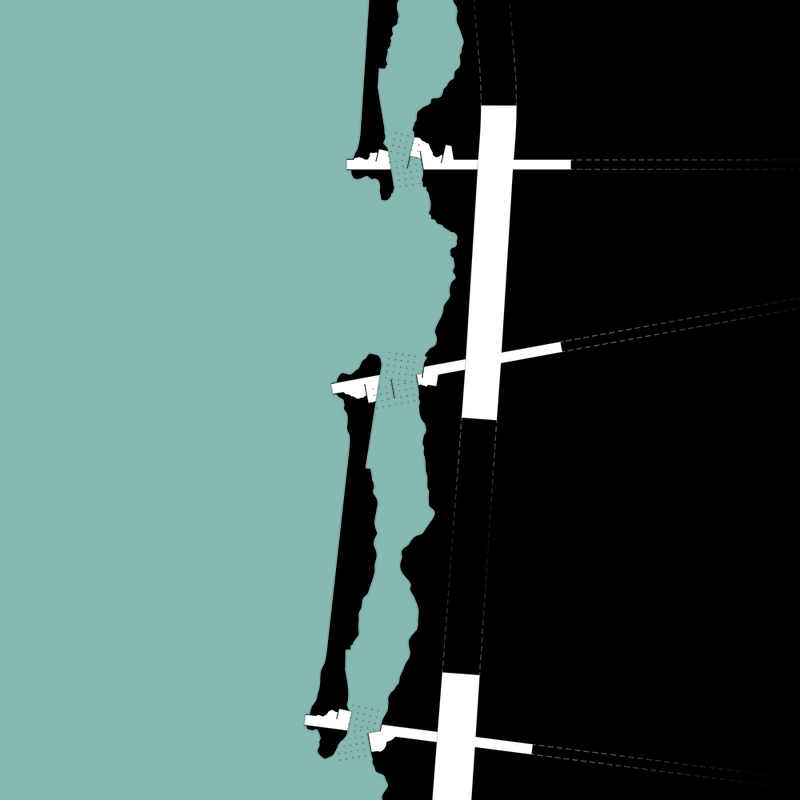 This means that the hard edge of the existing shore line dissolves into a more ambiguous transition from land to water. 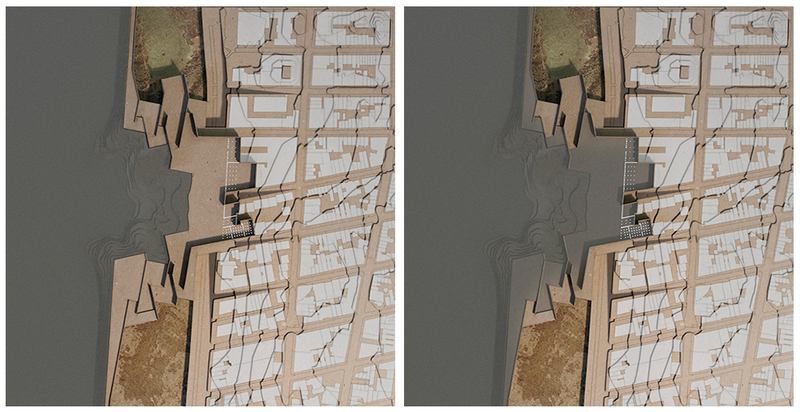 New viewpoints towards the other side of the river are generated as the dike breaks up and ties itself back to the existing buildings situated at the waterfront. 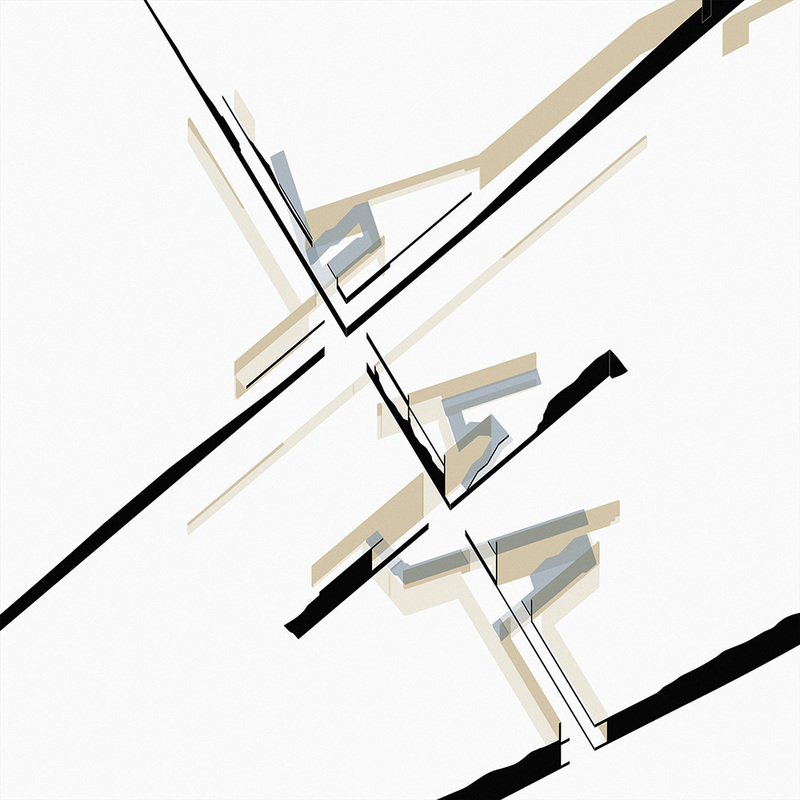 This creates a public plaza in front of these buildings where the outward view is framed, as well as a public (interior)space at the ground level of these buildings.